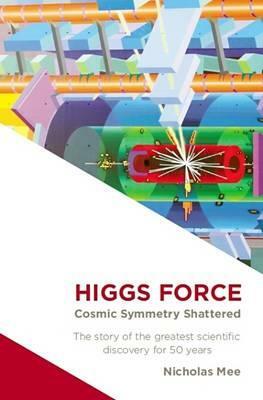 Higgs Force is a gripping account of the scientists who have revealed the hidden structure of the natural world. It is the story of the fundamental components of matter and the forces that bind them together; a tale that is woven around the symmetry at the heart of the universe and the mystery of how this symmetry is broken. The book is divided into three parts. The first three chapters provide the broad historical and philosophical context. The next three describe, in turn, each of the forces that are important in particle physics. The final three chapters are about the modern synthesis of the particles and forces and the search for the last missing piece in the particle physics jigsaw. Description: An unmarked as new book which "tells the incredible story of the most important scientific discovery of the past 50 years. It begins with the ideas of the Greek philosophers over two thousand years ago and takes us on a journey through many of the most important scientific discoveries in history before bringing us right up to date with the discovery of the Higgs particle in July 2012".